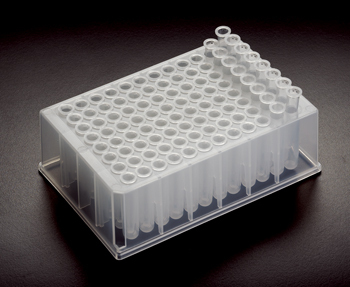 These plates feature 600 µl wells for smaller volume applications. They include a T110-5 deep well plate along with twelve T110-15 8-tube strips. In the T110-2 model, tube strips are removable and can also be ordered separately. In the T110-3 model, tube strips are welded by ultrasound.